A premium brand supplier, serving and providing worldwide high quality traction products for professional customers. AB Max Sievert, a long-term owner, acquires Nordic Traction Group from Accent Equity 2012 LP. Management remains a significant owner and the management owner group is expanded. Over the coming years, Nordic Traction plans to further increase its investments into product development and production capacity expansion. Nordic Traction Group (“Nordic Traction” or the “Company”) is a leading manufacturer of bespoke vehicle traction aids, which are used for a wide range of vehicle types operating in harsh environments primarily in the forestry sector. The Company operates from two manufacturing sites based in Loimaa, Finland and Dumfries, Scotland (UK). The Loimaa factory has been established 1886 and traction chain production started in 1930’s. The factory in Scotland has been producing tracks for 30 years. From both factories the products are supplied directly to OEMs and other distribution channels in over 30 countries worldwide, using well-known brands such as Clark Tracks, Nordchain, OFA and GripX. The Company employs over 110 people and is headquartered in Loimaa, Finland. 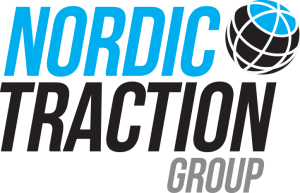 For further information on Nordic Traction, please see www.nordictractiongroup.com. AB Max Sievert (“Max Sievert”) invests long term (i.e. without an exit horizon) and with low financial debt, in well-run, profitable and growing companies. Nordic Traction is Max Sievert’s fourth platform acquisition. For further information on Max Sievert, please see www.maxsievert.se. “Since the carve-out from Gunnebo Industries AB three years ago, we have together with Accent Equity as a highly supportive partner, built a stronger platform for Nordic Traction’s future growth and great customer service. I now look forward to the next stage of the Company’s journey and working with Max Sievert to continue to build an international leader in traction products for the long term, and reach our latest set of goals and objectives,” says Tero Järvinen, CEO at Nordic Traction. “Nordic Traction is a well-run company serving its customers globally with top of the range products and customer service. Over the coming years we intend to invest heavily in increased capacity to enable Nordic Traction to serve its customers well, as the Company continues to grow” says Carl-Gustaf Bergström who again will become non-executive Chairman of Nordic Traction (Chairman between 2010-2015). Nordic Traction’s management team, who are currently co-owners of the Company, will all remain significant owners. Furthermore, as part of the transaction, the group of managers who are owners is expanded. The transaction is expected to be completed on 13 December 2018. NordChain is the new leading brand for traction chains. With chains like Megastud, Superstud and Piggelin Flex you can see that they are the well-known “Gunnebo-chains” that have changed their name to NordChain. OFA specializes in tire traction chains. OFA traction chains ensure excellent grip, tire protection and a long service life for forest machines, tractors, trucks and construction machines all over the world. 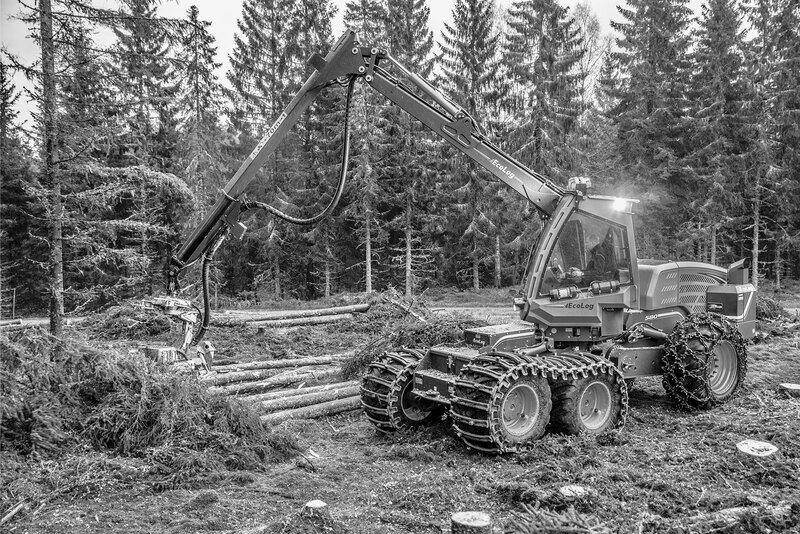 Clark Tracks specialize in forest machine tracks to suit almost all Cut-to-Length machines and Skidders. Everything from climbing tracks to extreme flotation tracks. Tellefsdal Kjetting has offered traction chains for all purposes for 80 years. Innovation is key and that has resulted in lightweight chains and the well-known forestry chain U-Grip.